Genevieve Waters-Ewing walked from the church with her hand resting lightly on Quincey Ewing’s raised arm. He’d shaved for the first time in months, and she glanced with distaste at a scratch on his cheek where the blade had nicked his weathered skin. Her whole body trembled, and she fought hard to push down the sobs that threatened to escape her aching throat at any moment. He turned to face her with a grin, his ten gallon hat perched unevenly on his square head. The minister who’d married them was so old and frail, and his hearing so bad, each time she shook her head and shouted ‘no’ during their vows, he simply nodded with a toothless grin and continued on with the ceremony. If she tried to run, Quincey held her close and pinched her arm. In the end she stood her ground, confident that the law would never uphold such a marriage — until, that is, her new husband forged her signature on the certificate of marriage. Now she wasn’t so sure. She glared at him as her stepfather came up alongside her. “Congratulations Genny, you’re a married woman now. Isn’t that what you’ve always wanted?” He chuckled, she caught him winking behind her back at his childhood friend – the man who’d just been pronounced her husband. They’d stepped out into the bright Texas morning, and Genevieve squinted her eyes against the sunlight that streamed down through a faint fuzz of thin clouds above. She cast her gaze about – they were on the outskirts of Fort Worth, Texas, and she could see the plains stretched out before them. The town pushed toward the openness, threatening to civilize its bluffs, rises and hollows. Chaparral tufts littered the landscape, sheltering hare and various rodents, and giving the plains an unkempt look. She smoothed the skirts of her burgundy plaid dress. It was the nicest dress she owned, even so it was well worn, and pulled tightly across her chest and hips where she’d grown in recent years. A long line of small buttons ran up the front of the bodice. The sleeves no longer reached her wrists even when she tugged at them, and her stays pinched her tiny waist. She sighed. “If Ma knew what you had planned for me, Fred, she’d roll over in her grave.” Genevieve caught a sob, and pushed it back down with a grimace. 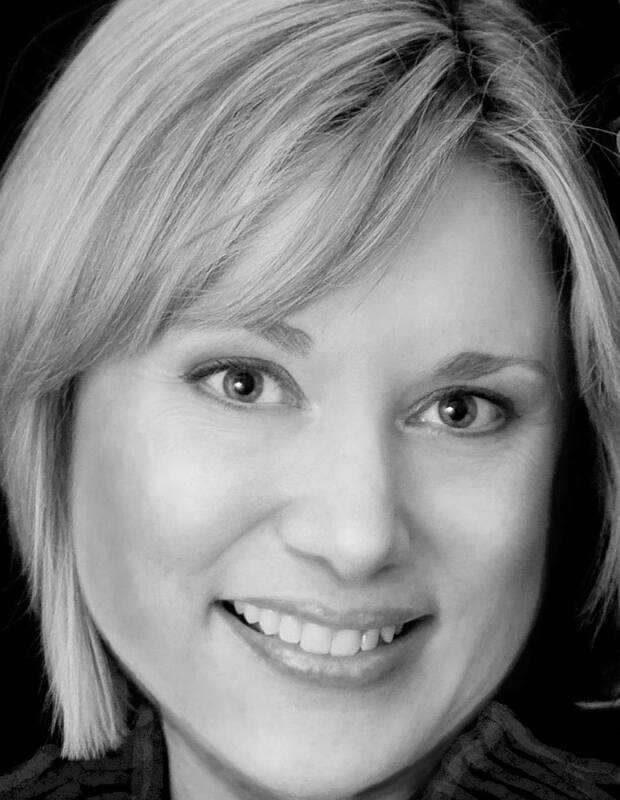 Her goal is to write touching, emotional and sweet romance stories that captivate the reader and transport them back in time. Click to purchase Of Peaks and Prairies. What’s it like being a self-published author? It’s great, but it’s a lot more work than I ever realised it would be. I think that people tend to have a romantic idea of what it would be like to be a writer. I know I used to. That idea is pretty far from the truth. In reality, I have three small children and a husband who need a lot of my attention. I also have a demanding part time job, I work in Information Technology. As well, I’m actively involved in our church, where my husband is a pastor. So, I have a very full and busy life. Add to it that I’m writing and publishing a new book every four to six weeks – it can get pretty hectic. I find myself doing laundry at ten o’clock at night and so on. My husband has been begging me to slow down, so I will probably try to do that soon… after the next couple of books maybe. Which, apparently, is what I always say. Of Peaks and Prairies is the first book in my new Paradise Valley series. 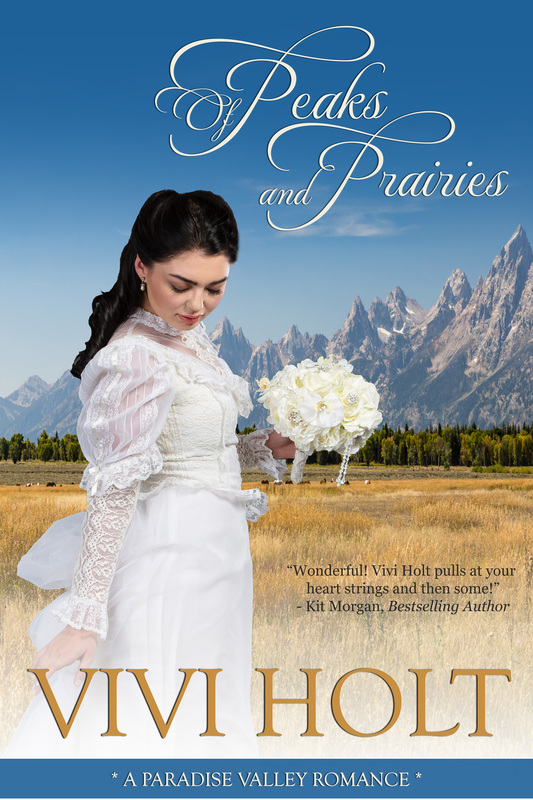 The series is a sweet, historical romance series set in Paradise Valley, Montana in the 1800s. In this book, we start out in Fort Worth, Texas and follow a cattle drive all the way to Montana Territory. The two main characters, Genevieve and Thomas, fall in love along the way, but they are kept apart by various tragic circumstances beyond their control. It’s very dramatic and romantic all at the same time. This book actually continues the story of Sarah Songan and Bill Hanover from the second Cutter’s Creek book. After they’re married, they head off to start their new lives together. This book follows them on that journey, so you’ll get to see more of them and how they go. You’ll also get to meet a whole lot of new characters that I think you’ll love. For fun – this is mostly theoretical, since I have three small children. Haha! No, I think your idea of what’s fun just changes once you become a mother. So, now for fun we like to go camping and hiking together. We love going somewhere remote to have a picnic and little adventures together. Of course I love to read. I also love to ski, but haven’t gotten to do that lately. I grew up on horses, and am hoping to get back into horse riding again one day as well. My youngest is two years old, so perhaps next year she’ll be able to join in on some more adventurous activities. When I start on a new series, the first thing I do is think about the setting and characters. I do a bunch of research and reading on the area, and the time period in history. Then, I start to think of story lines that might reflect that time and area, and that I could include in my books. I do basic character outlines, and descriptions of the settings, and collate my research materials. Then, I do a thorough outline of the first book. That includes everything that’s going to happen in every scene. Some of that will change as I write the book, but mostly I stick to the outline. That way, I can make sure the story is interesting, has full arcs, flows well, and ends in a satisfying way before I even start writing it. Doing that means that when I do start writing, I can write it very quickly as I know what’s coming. I’ve only been writing sweet historical romances since January of this year, so I like to think that I am getting better at it with each book I write. Before that, I wrote childrens’ books under my real name, Bron Whitley, which are obviously very different to writing romances. It’s certainly been a steep learning curve for me!